Plan Colombia: Cashing in on the Drug War (2003) is a documentary about the the drug trade in Colombia and the US efforts to combat the problem. It strongly critiques the ineffectual approach that the US has taken under the so-called ‘Plan Colombia.’ I have written before about how the United States needs to reconsider its appraoch to the war on drugs, and when I first watched it a number of years ago it opened my eyes to the continuing destructive behavior of the US in Latin America, that many believe is a thing of the past. Even now the US is pursuing similar policies across the Andean region. For more information see IMDb. Over the last few days there has been some controversy over an advert that the Argentinian government has put out on national television to commemorate the thirtieth anniversary of the Falklands/Malvinas war. The advert is also strangely promoting the Argentinian olympic team at the same time. I am not usually a fan of using loaded words such as propaganda, but I feel that in this case it is justified because of the nature of the content of this advert. While I definitely sympathise with the issue, this kind of trite nationalism turns my stomach. How this type of action will help in Kirchner’s fight to regain the islands, I have no idea. I would think that her constant bashing on about the issue will only raise expectations in Argentina, and they are expectations that she has no realistic chance of fulfuling. The Mexican journalist Regina Martínez, a regular contributor to the Mexican magazine Proceso, has been found dead this weekend. According to the state of Verzcruz, where she lived, it appears that she suffered a violent death with signs of a beating, and eventual death by stangulation. 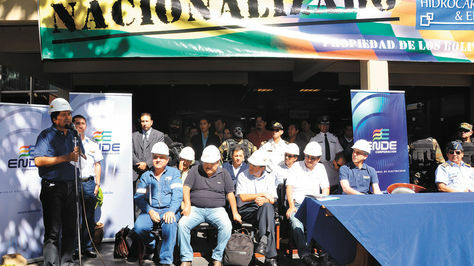 Martínez dedicated more than thirty years to investigating drugs trafficking in Mexico and its links to central and local government officials. In the past two years Veracruz has become a battle ground between drugs cartels fighting for the ports on the Gulf coast. 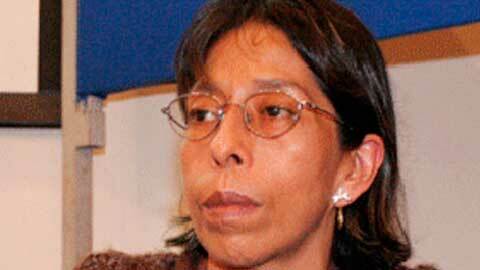 Martínez is the fourth journalist killed in the state in the past 18 months. Reporters Without Borders now estimate that more than 80 journalsits have been murdered since 2000, with a further 14 disappeared. The death of journalists in Mexico is especially worrying as magazines such as Proceso offer some of the only quality reporting in Mexico, and play an important role in bringing the state to account. Take a look at the Proceso website to keep up to date with all things Mexican. Yesterday 300 members of various indigenous groups in Bolivia started a second march to the Bolivian capital La Paz to protest against a proposed highway that would cross a protected area. The marchers all come from the area of the Tipnis national reserve, located 600 kilometres from La Paz in the Bolivian Amazon. 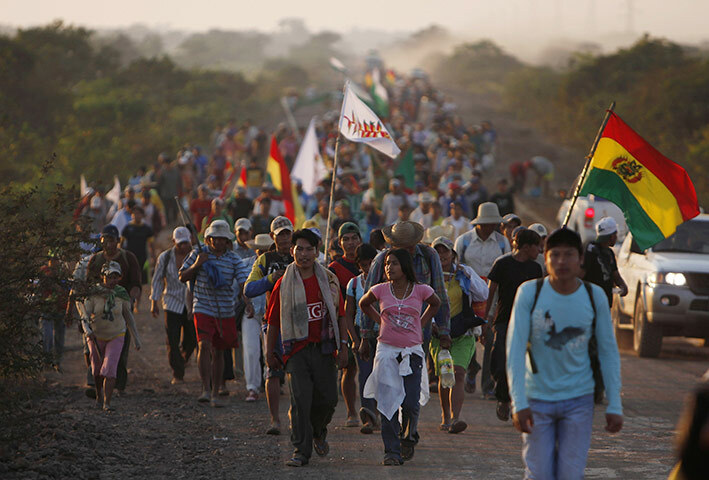 The first march, which started last summer, was a disaster for Evo Morales’ government. Morales chose to repress the march using police forces, which led to violent clashes. His decision led to widespread protest across the country and the resignation of two government ministers. In response to the violence, the Central Obrera Boliviana, the largest trade union organisation in Bolivia called a general strike. Under mounting pressure, the government canceled the project. It appeared that the march, despite the bloodshed, had been a success. After a few months, however, and several rallies supporting the project, the government rescinded on its promise and restarted the construction. 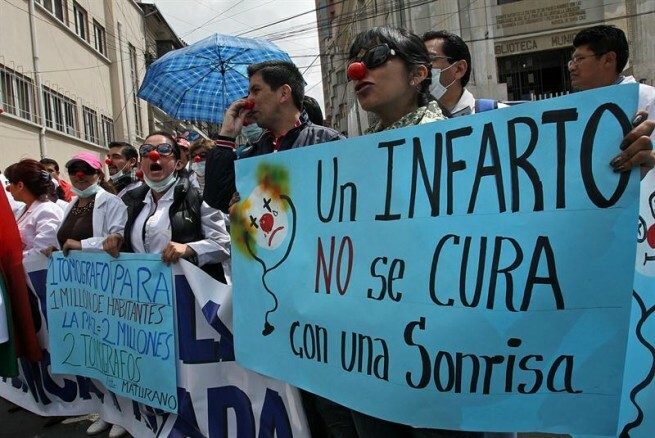 The second march is significantly smaller than the first, with only 300 participants compared to 1,500 before, but it still has the possibility of causing major problems for Morales. Dancing with the Devil (2009) is a documentary directed by Jon Blair. It is a story about crime in Rio de Janeiro told through the lives of three men: Spiderman, a 28 year old leader of a drug cartel, Leonardo Torres, a police inspector, and Pastor Dione, an evangelical preacher. By approaching the theme from three angles Blair gives us a well rounded insight into the situation.The warped mentality not only of Spiderman, but also of the police inspectors, speaks much about the continuing problems of tackling the drugs problem in large urban centres. The views of Pastor Dione, which often border on hyperbole, add another interesting take on the situation, and also provide insights into the rise of evangelical Christianity in Brazil. Despite the fact that the film is now a little out of date, as the police in Rio have started implementing a pacification programme, it is still well worth watching. The film is a little difficult to find on the internet, but a little bit of perseverance will pay off. For more information see the film’s official website, and IMDb. Although it is difficult to know whether or not the accusations have any grounding, they come at a point when domestic criticism of the Chávez government is increasing. 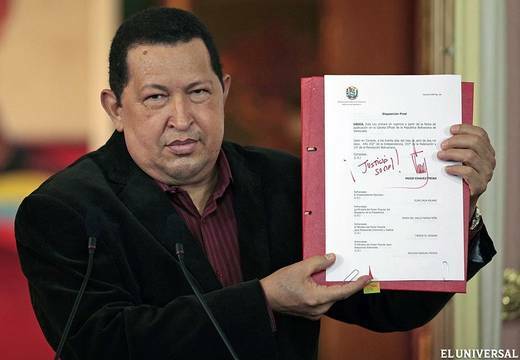 Recently Chávez has spent more time in Havana than in Caracas due to the treatment he is receiving for cancer. 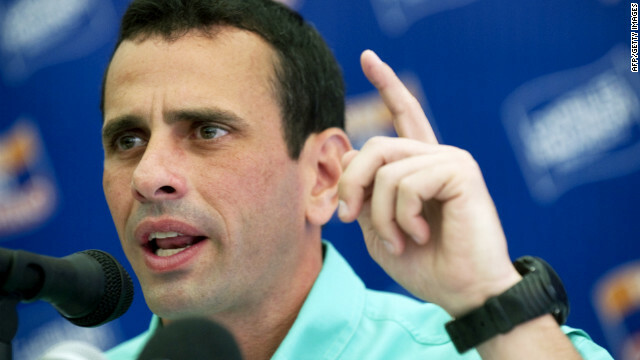 Henrique Capriles, the opposition candidate for president, has criticised him for ruling the country through his twitter account. Accusations of government involvement in drugs trafficking and manipulation of the judicial system made by former judge Eladio Aponte last week also called into question the honesty of the Chávez administration. The whole thing smells suspiciously like an attempt to discredit the opposition before the upcoming presidential elections in October.